So what exactly is Bitcoin? Bitcoin, according to Investopedia, is described as follows: “Bitcoin is a digital currency created in 2009. It follows the ideas set out in a white paper by the mysterious Satoshi Nakamoto, whose true identity has yet to be verified. Bitcoin offers the promise of lower transaction fees than traditional online payment mechanisms and is operated by a decentralized authority, unlike government-issued currencies. Today’s market cap for all bitcoin (abbreviated BTC) in circulation exceeds $7 billion.” – Source. So how does one go about owning Bitcoin (or any other cryptocurrency for that matter) inside of their IRA? You really have 2 options when it comes to owning the asset – direct and indirect custodial contact with the asset. At NuView Trust we only hold the asset indirectly as this is the safest way for a client to hold this inside an IRA. If you’re with a standard financial firm (traditional investments like stocks and bonds) then you’re pretty much out of luck since these custodians will not hold alternative assets for you. 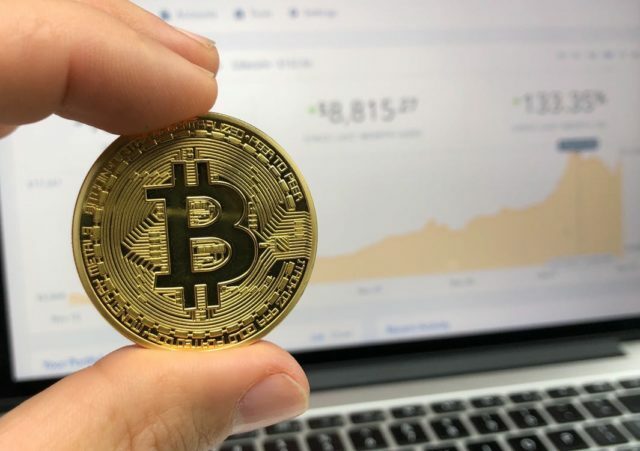 If you do have a self-directed retirement account that allows for alternative assets then you have the ability to buy and sell Bitcoin inside the account, it just takes a few steps to establish your account. I’ll talk on investing with a custodian that has direct access to your Bitcoin. These firms allow you to simply purchase the investment right on their books where they will hold the coins in “cold storage” as it is commonly referred to. Cold storage sounds like an incredibly secure way to hold your investment, but I disagree as it gives your custodian access to your private keys. You never want anyone to have access to these keys. Another issue with cold storage is that you no longer have the liquidity of buying and selling Bitcoin when you wish. Typically, cold storage takes 3-5 days to reverse and sell out of, and if you’ve followed any of these currencies, you know that 3-5 days can lead to a huge jump or decline in price. If someone has access to your private key they have access to send your Bitcoin anywhere in the world – without a trace. The fees associated with a custodian holding the Bitcoin directly are also insane. Many of these custodians will charge you upwards of 10% of your total investment upfront before you even purchase a single asset. The second option when holding Bitcoin inside your IRA is to have indirect contact. What this simply means is that, with your self-directed IRA, you will be holding the digital wallet through a middle point first. For example, you will setup a new account at NuView and move your funds into the account. From there, you will then setup an LLC owned exclusively by your IRA. At this point NuView (the custodian) is holding the LLC on our books – that is what we see as the investment. From the LLC you can then setup a digital wallet on any exchange you’d like to purchase your Bitcoin. Larger exchanges will usually link directly to your bank account that you’ve setup for the LLC. The money is transferred back and forth from the exchange to the LLC bank account all while being held under the name of the IRA, keeping the funds tax advantaged. The most important aspect of this process is that you are the only person with access to your private keys and you’re no longer surrendering the liquidity of your investment; this keeps your investment safer from the stand point of theft but also gives you the ability to pick and choose exact moments to buy and sell. Always remember to do your due diligence before making any investment, invest responsibly.